A new gardener has entered the Hall of Keepers, removals have ceased, and a ban on using giftings in public has been put in place. Despite the changes, Orlo has everything he ever wanted-the tall tower, the fine clothes, the lavish dinners, and an assignment of prestige as an inventor's apprentice. The only piece missing is the people he once called family. With his guardian released back into the World, and her husband rumored to be lost, Orlo is now under the watchful eye of a talented but manipulative inventor. When an unlikely artist uses his unique ability to show Orlo The Way that he has forgotten, Orlo will set out on a quest to the World to restore truth and return his household to the Conclusus. Orlo: The Burdened by Brandenburg, Lauren H. was published by Kingdom Publishing Press in November 2017. 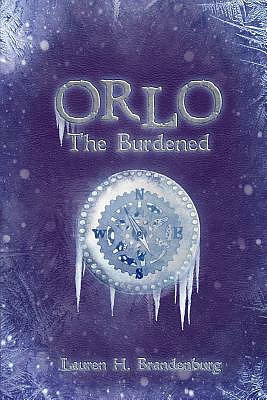 The ISBN for Orlo: The Burdened is 9780998160016. Be the first to review Orlo: The Burdened! Got a question? No problem! Just click here to ask us about Orlo: The Burdened. Author / Artist Brandenburg, Lauren H.